Currently screening at the IFI is A Pigeon Sat on a Branch Reflecting on Existence – which its director the inestimable Roy Andersson has called “the final part of a trilogy about what it means to be a human being”. 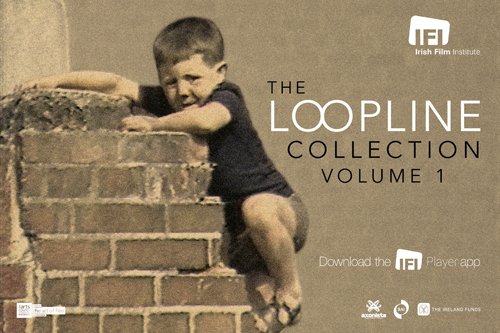 To celebrate, the film’s distributor Curzon has given us a DVD bundle including the first two films in the trilogy to give away! A Pigeon Sat on a Branch Reflecting on Existence consists of meticulously composed tableaux in which a large cast of characters endure life’s travails, shot through with an absolutely bone dry sense of humour and of the absurd that finds hilarity in the mundane, making for a unique style of comedy. However, Andersson’s real genius is in creating profound resonance with the lightest of touches – the context given to the familiar, mechanical recitation “you have no messages” produces a heartbreaking depiction of loneliness, while a wordless sequence close to the end is a remarkable articulation of rage at the legacy of colonialism. Winner of a Dublin Film Critics Circle SPECIAL JURY PRIZE at the Jameson Dublin International Film Festival 2015, see the film that The Times’ Kate Muir describes as “Ingmar Bergman meets The Office meets The Fast Show”. 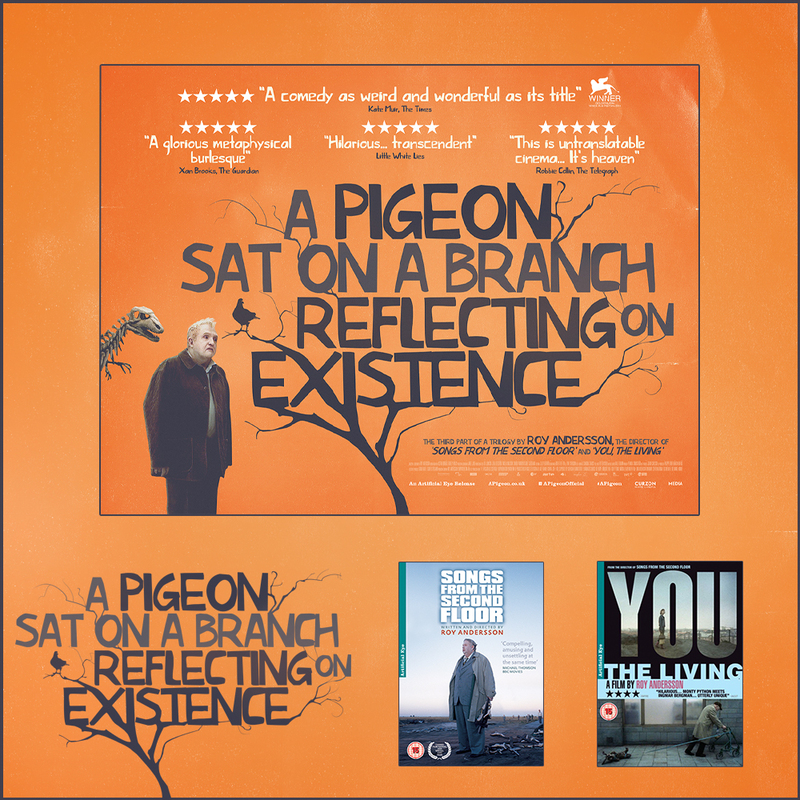 Celebrating the release of A Pigeon Sat on a Branch Reflecting on Existence, we have a copy of the film poster to give away, together with the first two films in the trilogy, 2000’s Songs from the Second Floor and 2007’s You, The Living. To enter, simply answer the question below and we will pick a winner on Friday, May 1st. Director Roy Andersson has said that the film was inspired by a 1948 Italian film by Vittorio De Sica. That film was called what?